Listen. Kid lunch is honestly the hardest meal of the day. How can something seemingly simple be so difficult? It’s one of those meals that needs to be nutritious, yet you’re still recovering from breakfast. And somewhere right after you have start prepping for dinner! Well, guess what? 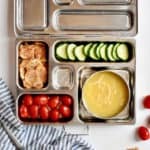 I am solving all of your problems with these 3 healthy kid lunch box ideas. I call it the Two Veggies, One Fruit Rule. What does that mean? Every single lunch I make has two vegetables and one fruit. No matter what. All you have to do is prep for it at the beginning of the week (or month). Then you make them the night before for your kids in school, and you don’t have to think about it for the little ones at home with you. I buy everything in bulk from Costco, and I buy the Bare Snacks apple chips and banana chips on Amazon. You can buy them HERE. I’ve tried over five different brands of fruit chips, and Bare Snacks is definitely the best brand. We’ve been eating them for years, and they have new banana chips. My personal fave are the cocoa banana chips. An easy gluten-free, plant-based way to satisfy your chocolate cravings! Also, my kids like to snack on them in-between meals. Cucumbers, broccoli, and bell peppers are chopped and kept in sealed glass containers. Same with strawberries. The apples and bananas I cut up at lunch, because, browning. Everything else is easy to grab and serve! As for the entrees, I’ll make a big pot of gluten-free pasta or soup (like this Instant Pot vegetable soup!) at the beginning of the week and let the kids choose which one they want each day. I also make almond butter sandwiches on wheat bread for our kid in school, since they can’t have peanut butter in class. We use the PlanetBox and OmieBox (this one has a thermos!) lunch boxes. These are already compartmentalized so that it fits within my Two Veggies, One Fruit Rule, plus an entree! 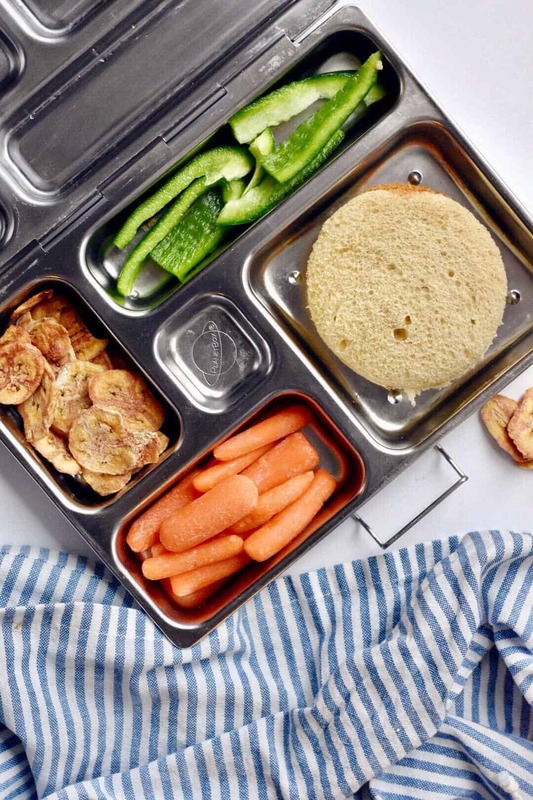 This rule is effective, because it takes the guesswork out of how you’re going to feed your kids their recommended servings of daily fruits and vegetables. And it gives them options! I usually let them pick which ones they want to eat. They are more excited to eat them, and I feel like it’s reinforcing good healthy eating habits. Hope this is helpful! 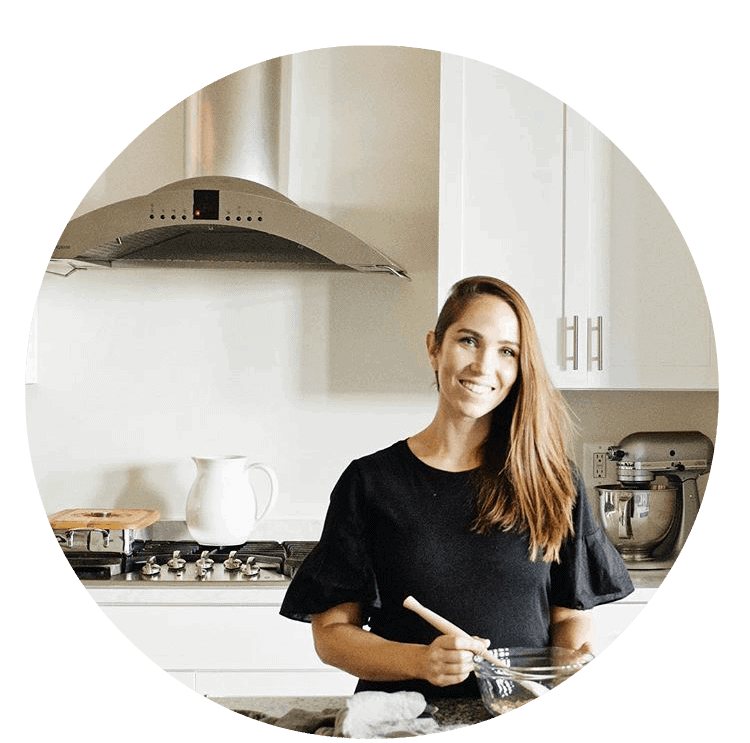 Make sure to try the Two Veggies, One Fruit rule, and scroll below to get the recipe combos we love and use each week! Lunch time doesn't have to be a struggle with this easy rule. 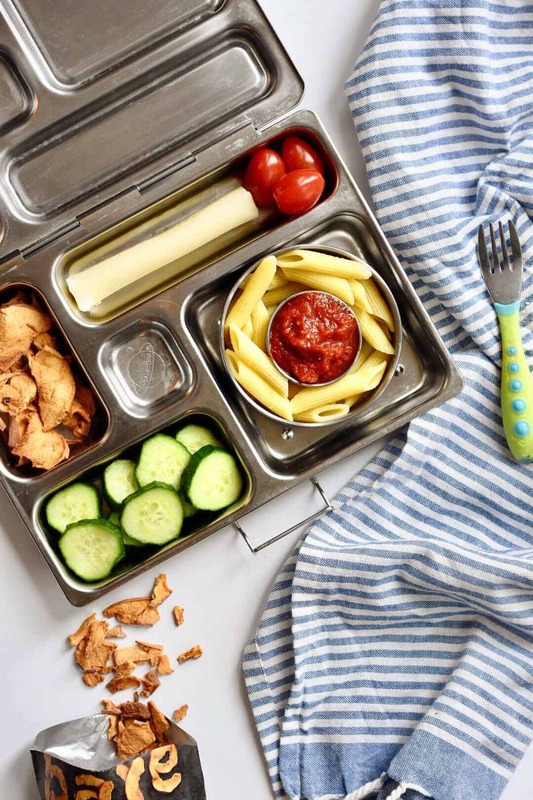 Here are 3 easy and healthy kid lunch box ideas to make it a straightforward and nutritious meal for kids. 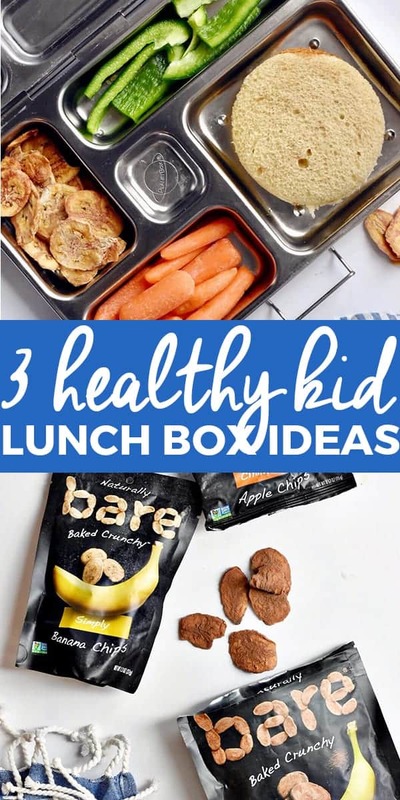 In a lunchbox, pick your choice of entree (soup, pasta, or almond butter sandwich). Let your kids pick two vegetables, and one fruit to go on the side. Our favorite combos are bell peppers and carrots, cucumbers and tomatoes, or tomatoes and cucumbers. Then either banana chips or apple chips. Add everything to containers and enjoy! 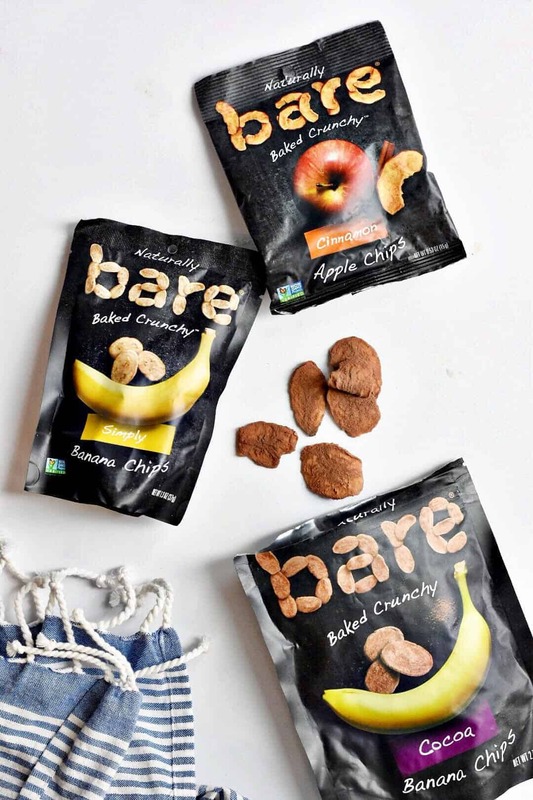 This post is sponsored by Bare Snacks, a brand we have been eating for years, one we love, and definitely recommend!